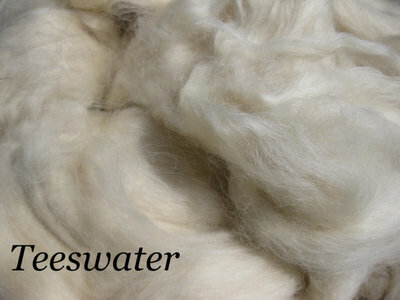 Natural White Teeswater Combed Top. This fiber has an amazing luster to it. A perfect Fiber for dying, spinning and felting. staple length 5-8 inches and spinning count 50s. Sold in 4 oz braids.